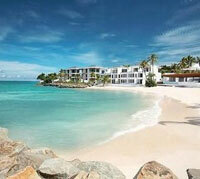 Saint George (a prime area) is the smallest parish on the island of Antigua. The populous and popular expat enclave of Crosbies is in Saint George. Crosbies is a highly populated locality. Both a residential and commercial spot, it is a popular choice for expats due to its close proximity to St. John’s. Property developments are concentrated on the hillsides overlooking Boons Bay, and two-level luxury villas offer buyers an open view of the lovely neighbourhood. Hodges Bay is a prime residential area in St. George. Its proximity to St. John’s makes it a great option for guests and buyers. An organized array of contemporary-style houses, apartments, hotels, and restaurants face the coast. Terraces and pools are prominent features, as well as lush gardens on beach properties. Luxurious villas and vacation homes with magnificent ocean views adorn the hillsides. Developers boast the use of eco-friendly and natural materials for construction. Seventeenth-century plantation houses have been renovated to give them a modern Caribbean appeal while retaining their colonial style. Paradise View has experienced a rapid growth in property development. It provides excellent ocean views of St. John’s Harbour, Runaway Bay, and Dickenson Bay. It is about an eight-minute ride from St. John’s. The airport, several restaurants, hotels, schools, and churches are also within easy access. Its location gives residents enough privacy, but also makes it convenient for them to engage in both inland and water activities. Most properties sold or rented out as vacation homes are luxury villas, apartments, and townhouses.